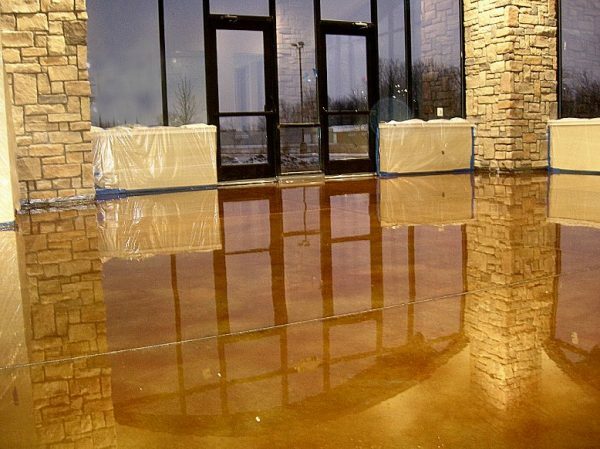 Express your creativity and find more economical solutions to decorative flooring with concrete staining from Dyon Construction for residential and commercial properties in Knoxville and surrounding counties. If marble tile isn’t in your budget, consult with Dyon Construction to recreate the look of marble in your home or business at a fraction of the cost with our concrete staining. Seek out flooring materials and patterns that you like and contact us for a design consultation. Our expert artisans and professional flooring technicians can stain and stencil your concrete floors to resemble any of the many patterns and looks of luxurious marble or other flooring materials. At Dyon Construction, our expert artisans will help you through the entire process from consultation to installation. Create a more beautiful home with custom concrete that express your unique style. Begin by consulting with one of our design consultants. We will help you find the best design and layout for your needs. With many options to choose from, we can help you create a custom look for any project.